If you want to dress as elegant, smart and meaningful as the attractive bois of Enraged Minority we have a hot advice for you: Just get your own favoured Fire and Flames Riotwear product in our online shop – opened also on a sunday evening! Cheers to a revolutionary 2015 ! 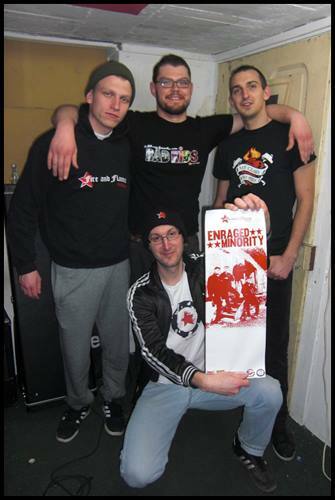 Enraged Minority ♥ Fire and Flames Riotwear ♥ YOU ! New Fire and Flames Riotwear Wintercollection 2014 coming next week!